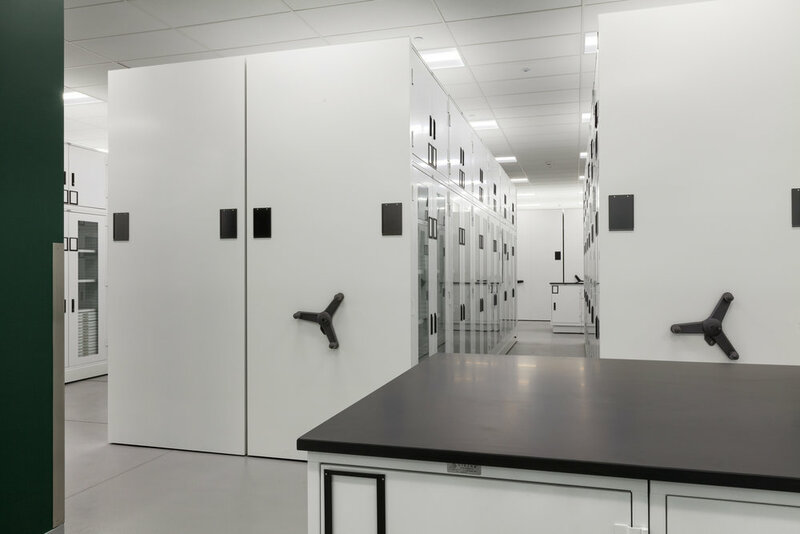 For the past decade the Yale University Art Gallery (YUAG) has been temporarily housing a large portion of their collection in a thirty-foot tall high-density storage facility designed for the University’s libraries. During this period accessing and browsing the collection has been a challenge for the Gallery’s curators and researchers. In the spring/summer of 2013 the Gallery was asked to relocate this collection to the University’s new Collections Studies Center at their West Campus facilities in West Haven CT.
YUAG’s approach in developing this new facility was to not only house the collection but to improve access for research and teaching purposes. This included making the collection more visible and creating gathering places within the collection for layout and teaching. 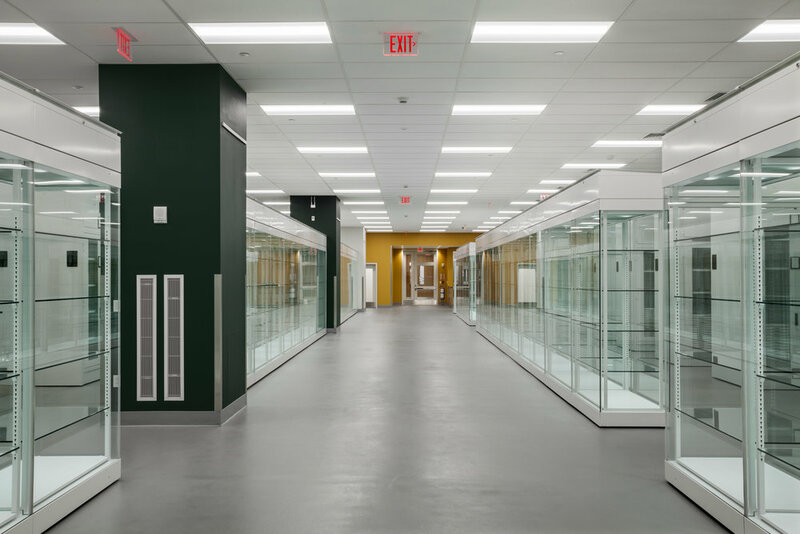 Initially WBA helped the Gallery access the requirements for the collection and identify the best equipment solutions for housing it. 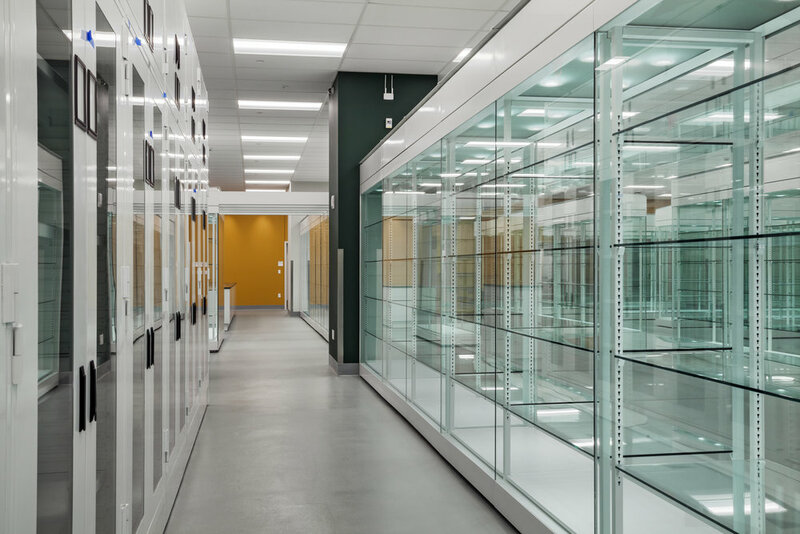 We then developed a series of alternative concepts for the facility that included high-density storage solutions, custom designed glazed collection cabinets and explored opportunities within the collection for seminar and teaching activities. 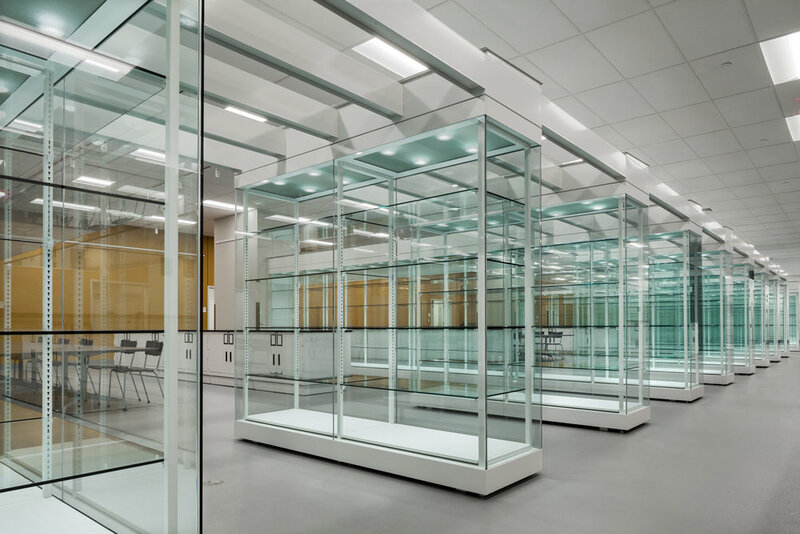 Working closely with Gallery staff we refined and developed the concepts into a final design solution and prepared a complete contract package for tendering and building the facility. 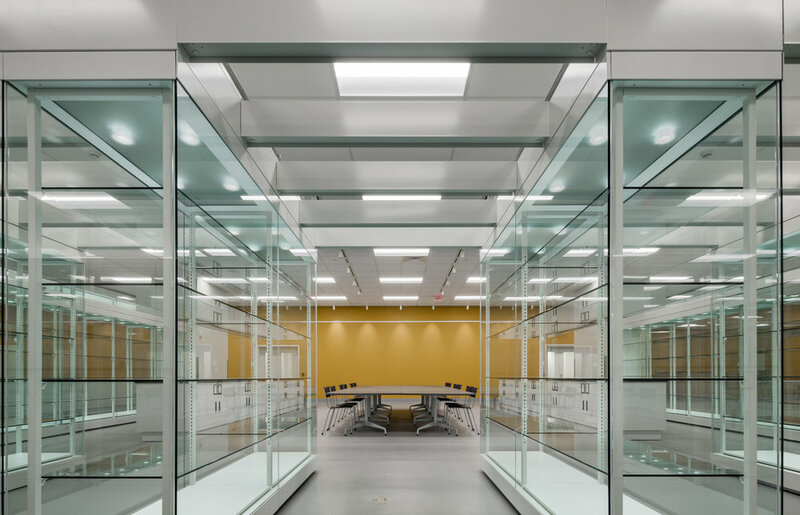 WBA is currently working on the design for a new facility to house the Gallery’s American Decorative Arts collection at West Campus.